Adult learners can benefit from engaging mini-courses and certification programs in many ways. One way is to quickly advance their skills. For instance, adult learners can learn specialized subjects, such as machine learning or Python programming. Adult learners can use mini-courses via online learning to advance their career with skills desired by recruiters. For example, companies often seek tech candidates with web development skills. The job outlook for web developers includes growth projections of 27 percent by 2024. Mini-online certification programs also can provide up-to-date skills. Some of these skills include digital marketing. Long-term college programs may find modern skills hard to teach. That is because the data changes often. While mini-courses provide benefits, some critics argue against their value for adult learners. For instance, Institute of Education professor Peter Scott argues that these courses lack true value. That is because some mini-courses, such as the mini-courses available via massive open online courses or MOOCs, lack accreditation. Another reason is that many students do not complete these programs or meet their target audience. For instance, a 2013 study conducted by a collaboration between Udacity and the San Jose State University found patterns of completion rates of MOOCs were higher for students who had previous academic success versus those who had not. Also, Stanford professor Sebastian Thrun argues several MOOCs are completed by those who already have high degrees of education. Universities, such as MIT, are concerned with the dilution of degrees’ value, and look to certificates or sequences as a solution. 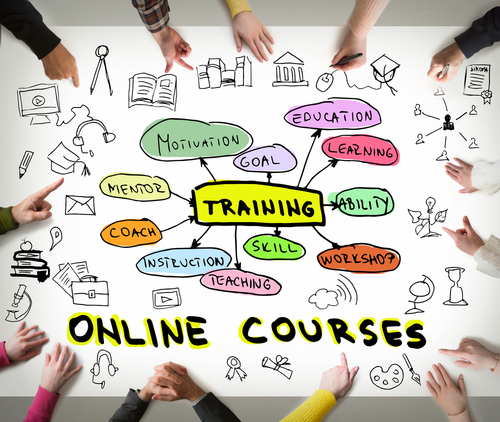 Is Funding Online Certification Programs and Issue? Making these courses accessible sans financial burden is another concern. One solution is to provide financial aid. The U.S. Department of Education’s EQUIP program offers this as an option. This program helps offset costs for students in these programs by offering scholarships and other aid to schools that are in the EQUIP program. Despite the debate of mini-courses’ value, you can include best practices to improve engagement. Make Content Easy to Read. Make sure the content you provide is easy to read. Use bullet points and brief paragraphs to break up content. Create a template free of distractions. Use Data Insights. When you use data insights, you can learn how users learn. This data can help you understand how users access your content. This helps you know what tools to use to enhance user experience. Add Games. Games can help improve engagement. A 2016 study that evaluated the impact of learning immersion, engagement, and flows in learning environments based on games of 173 participants found that games provided an apparent positive outcome on learning. Games hold learners’ interests with challenges. Use Images That Matter. Add images that add value to the mini-course. Use images that matter to your learners. Using images that are meaningful can help learners retain the course material. The value of mini-courses in continuing education is continually increasing. Colleges and universities know this and produce programs to create more career options for their students. You can add value to your certification programs by creating engaging content. Adult learners can benefit from these mini-courses to advance their careers.